If there’s one design ethos that has permeated Nike Sportswear’s releases this year, it’s alternate branding. Swooshes, sportswear logos, and Nike text hits have been used as extra embellishments, providing bold new looks for many classic silhouettes. 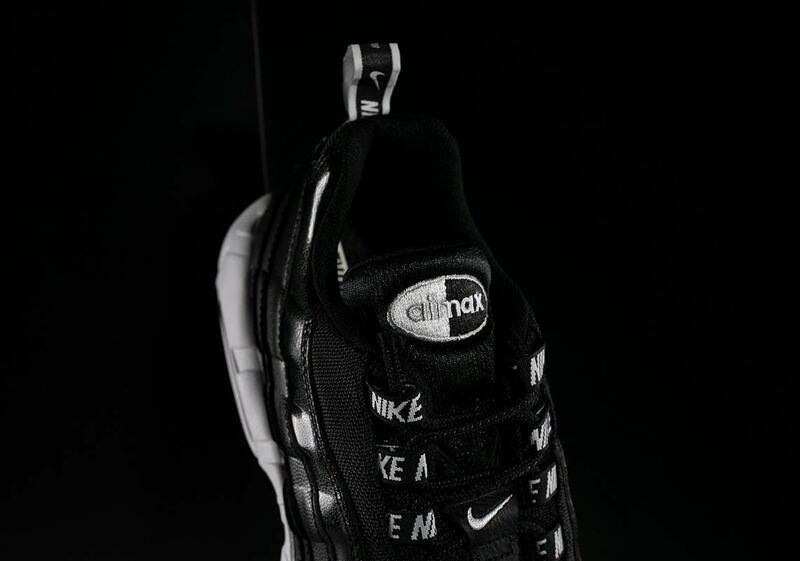 The Air Max 95 has been a frequent canvas for these interesting logo treatments, and now an aptly named “Overbranding” iteration has surfaced. The shoe’s base is simple with a black leather/textile upper. 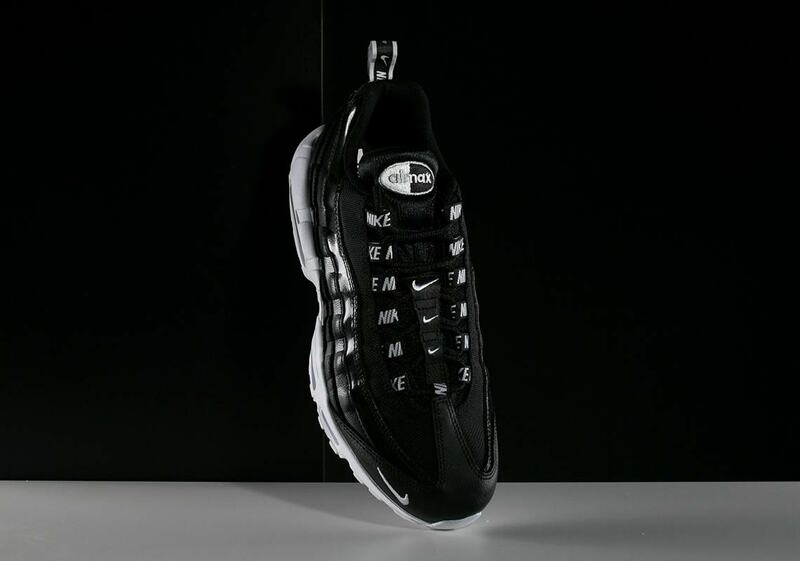 However, the branding is anything but: the lace loops all feature white Nike text hits and the tongue’s leather overlay sports white embroidered Swooshes on each and every piece. 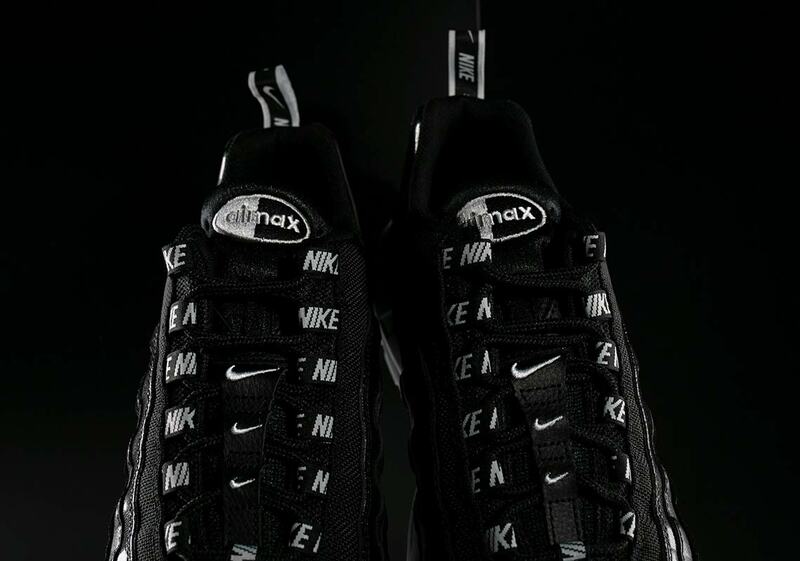 A two-tone heel tab offers further logo hits, and the wide swath of emblems is then finalized with a large Air Max tongue patch/a single white Swoosh on the lateral toe. 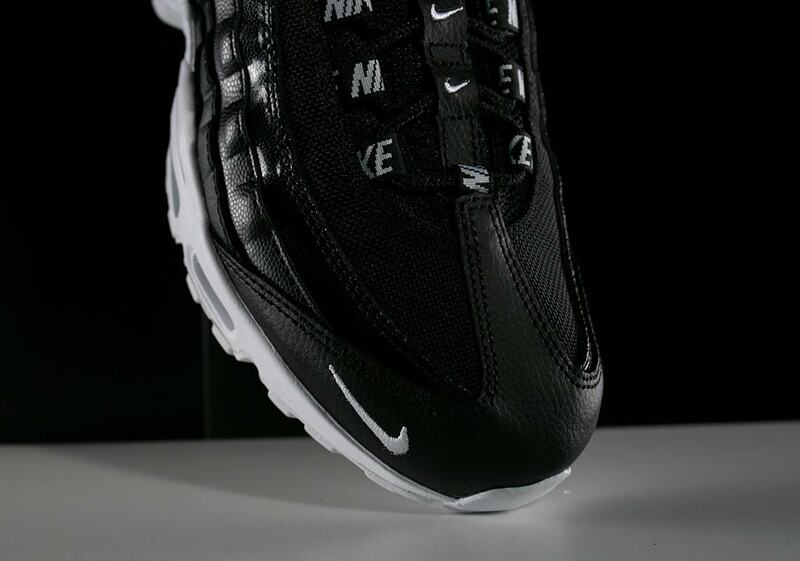 A white midsole, clear Air Max cushioning units, and a white outsole then complete the look. 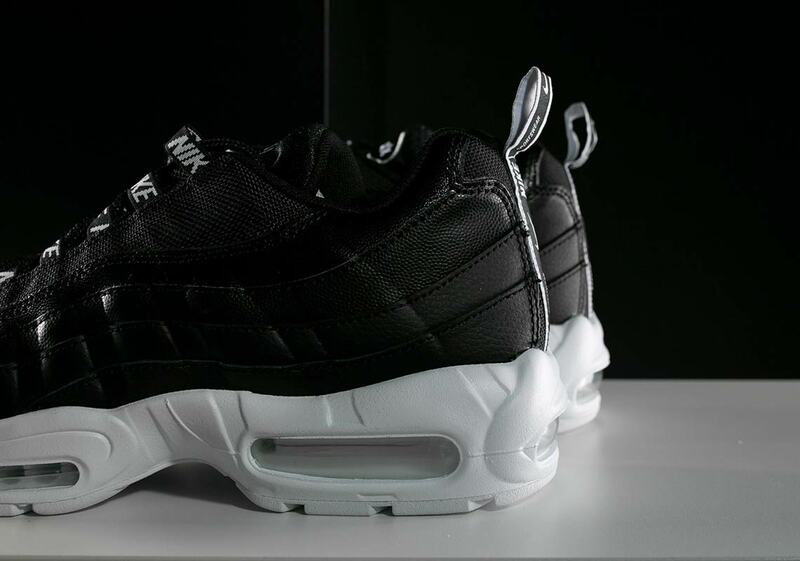 If you’re a logo lover, these new AM95s will be available at Swoosh Brand stockists like Rock City Kicks November 21st for $170 USD. 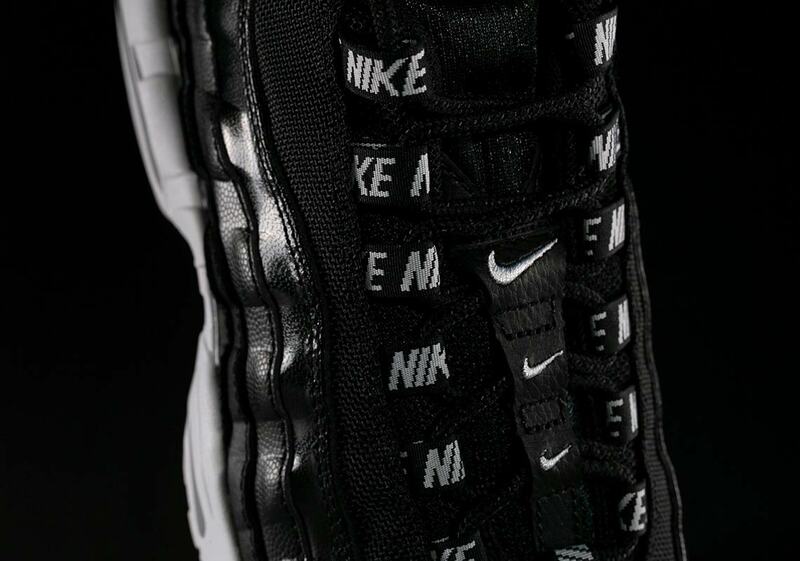 The post Nike’s Overbranded Air Max 95 Arrives Just Before Thanksgiving appeared first on Sneaker News.